A Plethora of Nails: Duochrome? Yes, thank you! 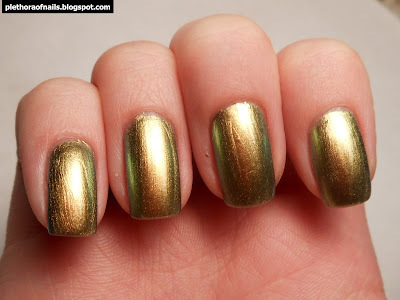 Here is Jessica Iridescent Eye, a dupe for Chanel Peridot. Scrangie has a wonderful comparison of these polishes! I bought this from Dandy Nails Blog Sale. Yay! I'm so glad I bought this. I love it! Sorry I didn't post yesterday, I've been working on my thesis which is due Monday! Great color. Good luck with the thesis! Love this one!!! I have Peridot, and this definitely looks spot on! Good luck with your thesis! So perfect! This is on its way to me, and I can't wait. Good luck with your thesis!